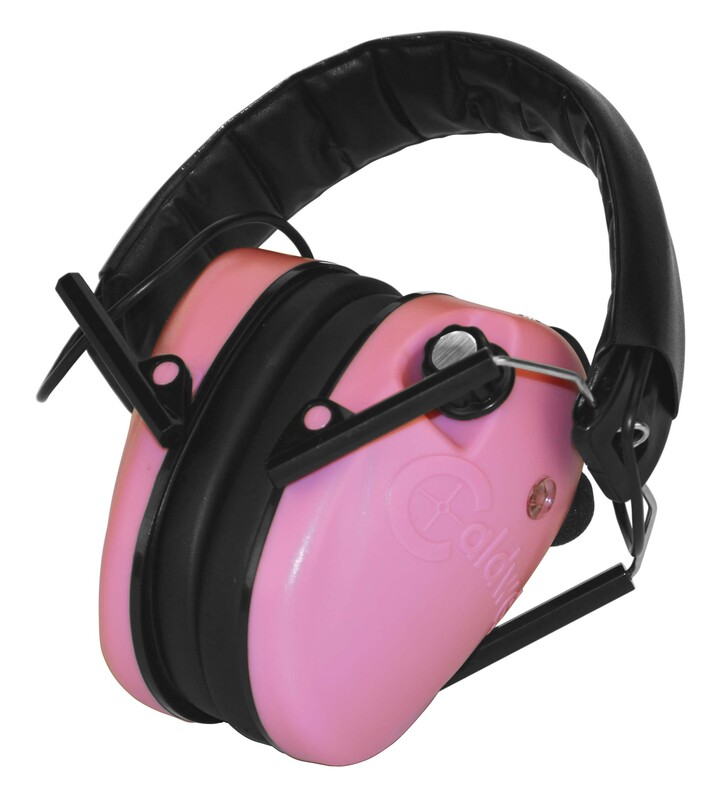 The new pink low-profile E-Max® hearing protection combines great circuitry with a low profile earcup that’s ideal for shotgun shooters and action shooters. 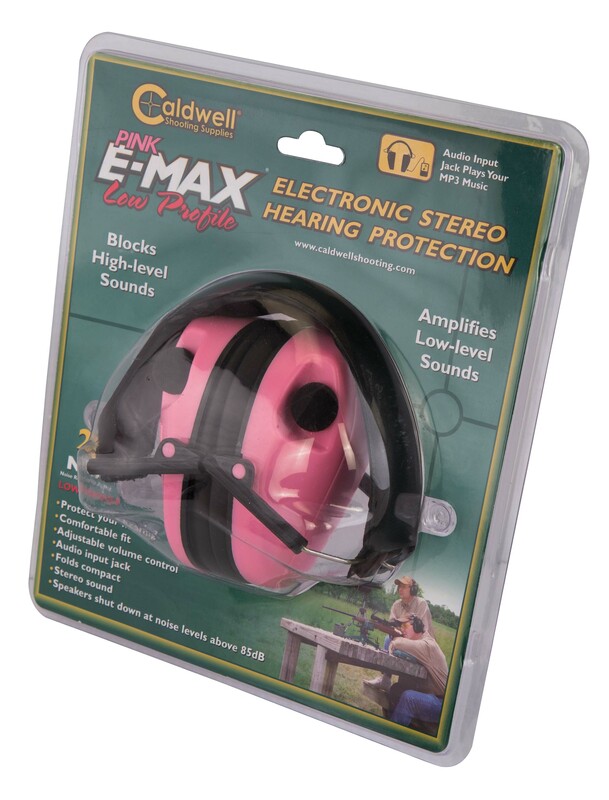 The two microphones in the E-Max® amplify sounds below 85 decibels, which amplifies normal communication, range commands, and environmental sounds. Above 85 decibels, the microphones shut off for a split second to protect the shooter’s hearing.